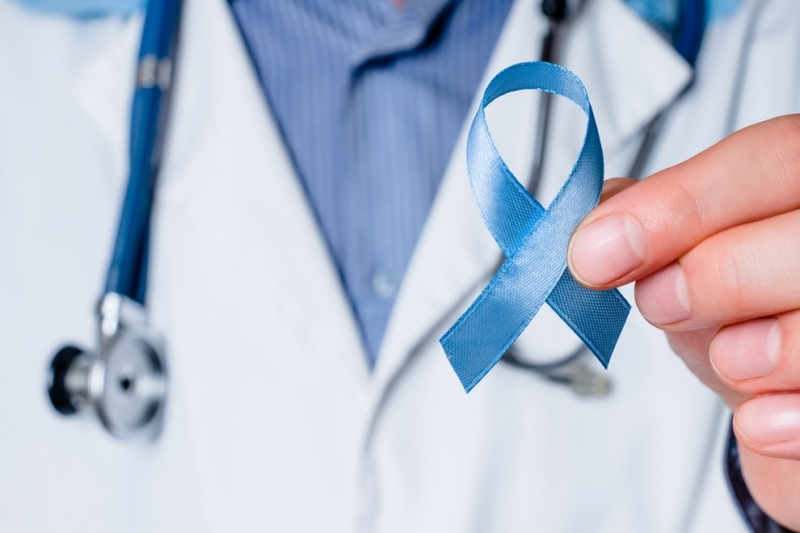 Prostate cancer occurs in the prostate gland – an organ of the male urogenital system responsible for producing seminal fluid (glandular cells) and closing the bladder exit during erection (muscular cells). Glandular cells excrete secretion and divide actively, that is why they are more subject to oncological changes. At early stages, prostate cancer has better chances of successful and radical treatment. Small tumors that do not spread beyond the capsule of the gland can be easily removed with minimal risk of complications. In advanced prostate cancer, with distant metastases and affection of the neighboring organs, doctors need to elaborate more complicated treatment schemes. In the search for new therapeutic opportunities for the treatment of metastatic prostate cancer, scientists from the German Cancer Research Center and University Hospital Heidelberg have developed a unique biologically active substance – PSMA-617. This unique molecule has become the basis of innovative Lutetium-177 PSMA therapy. Do not damage healthy tissues and organs. Be able to penetrate bones in a sufficient amount. Surgery is not suitable for these patients as it is too traumatic (cutting out multiple metastatic loci will ruin bones). Chemotherapeutic remedies penetrate bones poorly; reaching therapeutic concentration of drug inside the bone requires administration of huge dosages. Radiation therapy is rather effective, but irradiating the whole body causes multiple side effects. Lutetium-177 PSMA therapy specifically targets prostate cancer cells, whether they are located in the typical place, in bones or other organs. This is reached due to the mentioned above unique molecule PSMA-617. PSMA-617 binds only to prostate cancer cells. Lutetium-177, a therapeutic radionuclide, is connected with PSMA-617 in the laboratory conditions. Lutetium-177 is a source of medium-energy beta particles. Beta-irradiation breaks the DNA chains, so cancer cells become unable to multiply and die. Beta particles do not harm healthy tissues, as irradiation is localized. Lutetium-177 PSMA therapy targets the smallest metastases, even those that are still invisible in the PSMA-PET CT.
How do patients with metastatic prostate cancer undergo the procedure? Lutetium-177 PSMA therapy is an inpatient type of treatment. It is not long, taking only 3-4 days, but can be performed only in limited number of the best hospitals. PSMA therapy with Lutetium-177 is complex technically and has strict requirements to radiation protection. hypersensitivity tests (this helps to avoid drug allergy). On the appointed day a patient is hospitalized. Just before the procedure a doctor applies ice to salivary glands in order to cool them and avoid damage with subsequent dry mouth. Then the radiopharmaceutical agent with Lutetium-177 is introduced intravenously. A patient stays under the close medical supervision during the procedure and few days after. Control examinations include PSA level measurement and PET CT. Lowering of the PSA level reflects decrease of the disease activity. PET CT demonstrates shrinking or disappearance of the metastatic foci. If necessary, doctor may recommend one more course of treatment. PSMA therapy with Lutetium-177 is well tolerated, so repeat procedures are possible. People from the countries with poorly developed medical systems often seek specialized and high-technology medical help abroad. This is reasonable, as innovative treatment options, like robotic surgery or Lutetium-177 PSMA therapy, are available in limited number of countries and clinics. University Hospital Carl Gustav Carus Dresden, Dresden, Germany. University Hospital Frankfurt am Main, Frankfurt am Main, Germany. University Hospital of Ludwig Maximilian University of Munich, Munich, Germany. University Hospital Muenster, Muenster, Germany. Doctors in these hospitals are ready to help patients at all stages of prostate cancer. Absence of effect from previous chemotherapy or hormonal resistance does not affect the result – PSMA therapy with Lutetium-177 will kill atypical cells in any case. Opportunity to undergo this treatment and achieve impressive results is worth travelling abroad. How can I estimate cost of treatment abroad? Cost of Lutetium-177 PSMA treatment may differ depending on country, hospital, required preliminary examinations and number of procedures. Talking about approximate prices, diagnosis of the prostate cancer with PSMA-PET CT in Germany starts from 3,500 €, Lutetium-177 PSMA therapy starts from 10,500 €. Best hospitals that provide medical care to international patients with metastatic prostate cancer usually cooperate with large insurance companies, so treatment may be partially or fully covered by your insurance. Choosing clinic abroad and arranging a number of organizational details may be difficult for a patient, especially if the disease significantly influences his general state. In such situation it is better to entrust organization of the trip to highly qualified specialists of Booking Health. Booking Health is the only medical tourism operator that is certified to work with international patients worldwide. Choosing the right hospital abroad and investigating detailed information about the doctor. Booking the appointment on the necessary date. Preparing preliminary medical program, planning all necessary diagnostic examinations. Providing favorable prices, without additional coefficients for foreign patients (saving up to 50%). Monitoring process of treatment and support 24/7. Control of invoices and return of unspent funds to your bank account. Organization of control examinations after the course completion. Offering service of the highest level: booking hotels and plane tickets, transfer organization, translator support. Leave the request on the official website of the Booking Health company, and start planning your treatment as soon as possible.